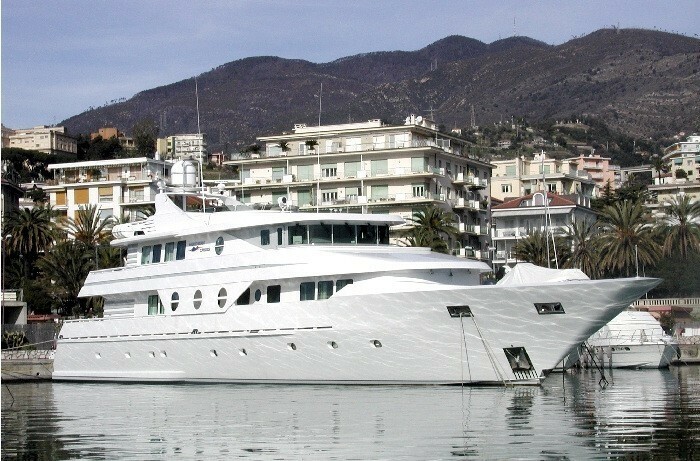 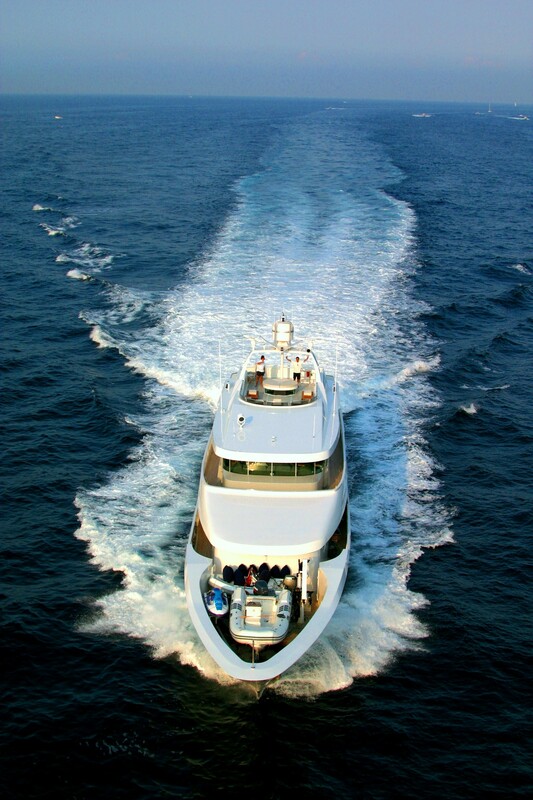 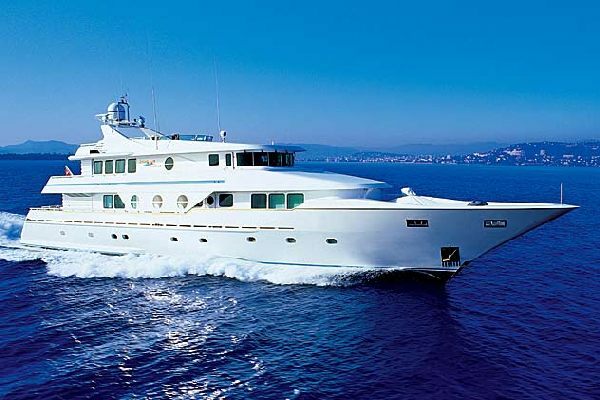 Built by Marineteknik in 1991 with an aluminium hull and aluminium superstructure, 43m/142ft motor yacht NORTHERN CROSS has the exterior styling of Tor Hinders and featured in the James Bond film 'Golden Eye'. 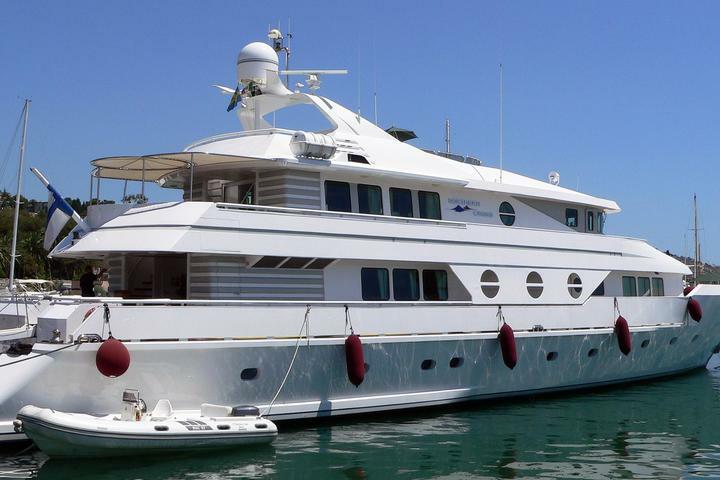 Capable of a top speed of 24 knots and a cruising speed of 18 knots, she is an excellent luxury yacht for island hopping and visiting multiple locations along a stretch of coast. 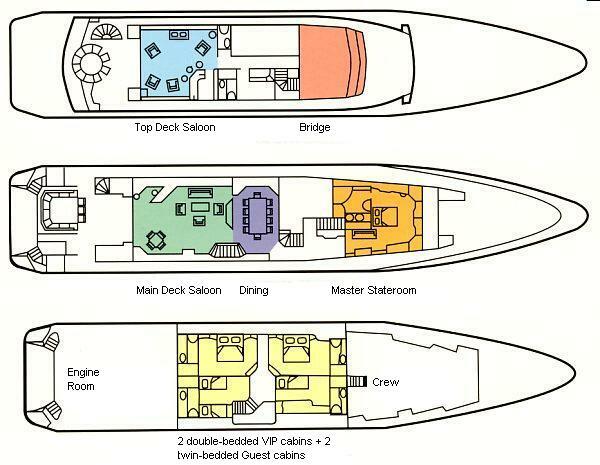 The main deck aft has integrated seating along the stern for outdoor living and can be used as a waiting area, with two staircases connecting with the large swim platform. 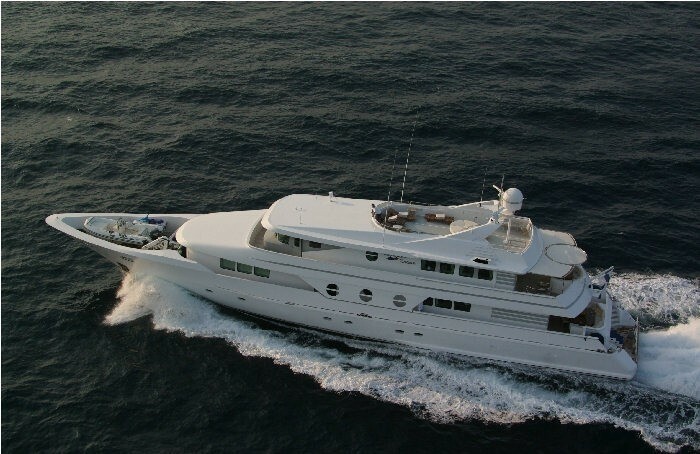 The tenders are stored on the bow and a winch crane allows for easy deployment and retrieval. 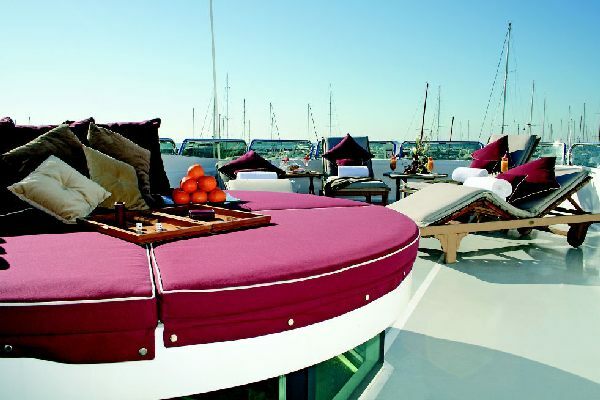 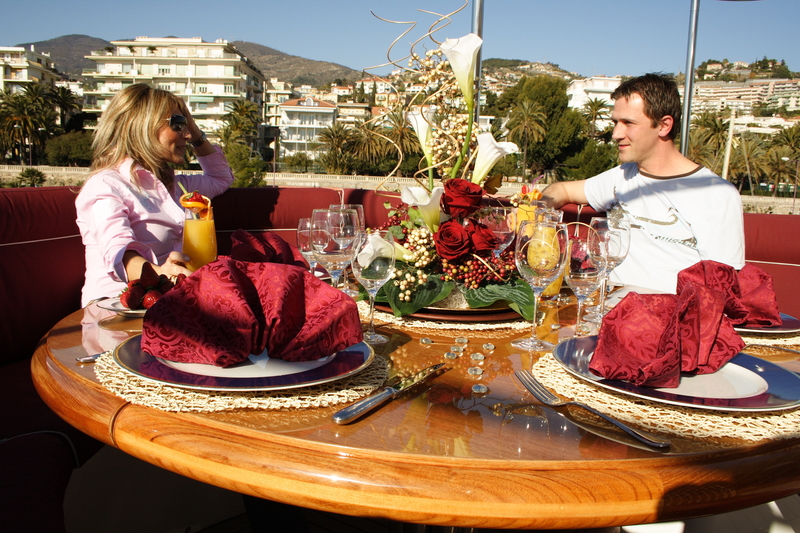 On the upper deck, the aft section makes use of a removable canvas cover for guests to dine alfresco and lounge in the sunshine or shade. 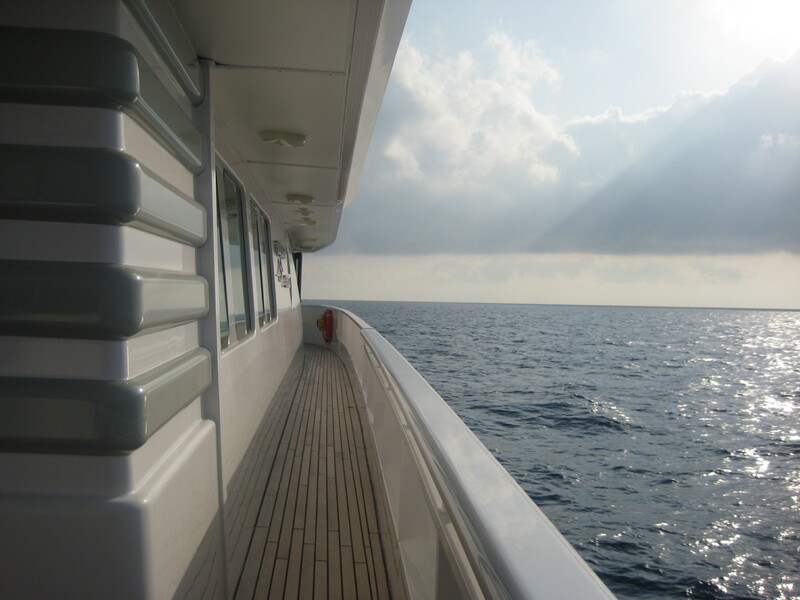 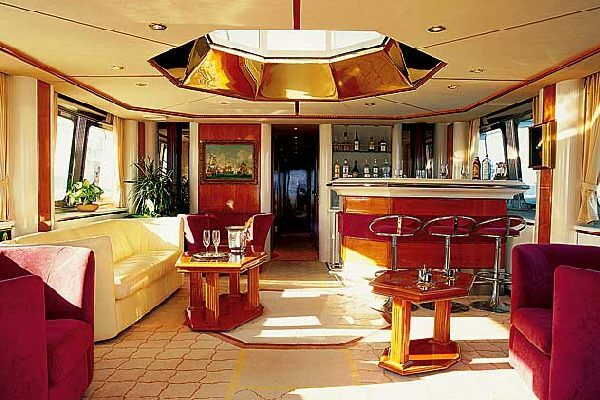 Walkways run along the port and starboard sides and connect around the helm for guests to use as an observation area. 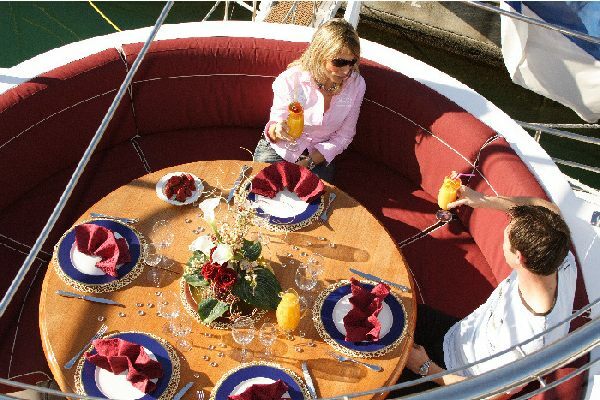 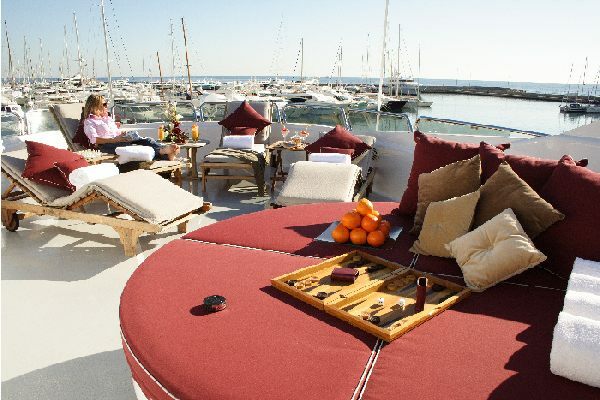 The sundeck is designed for alfresco dining and outdoor relaxation, with a large circular table, sun loungers and sunpads. 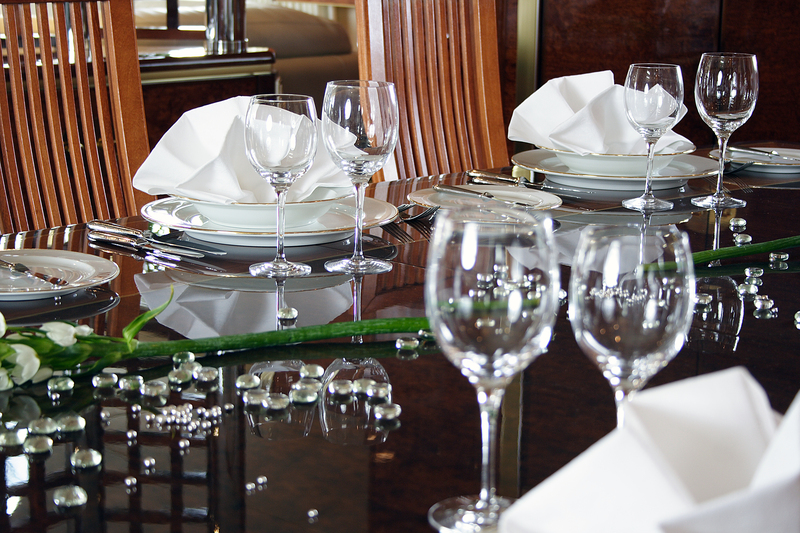 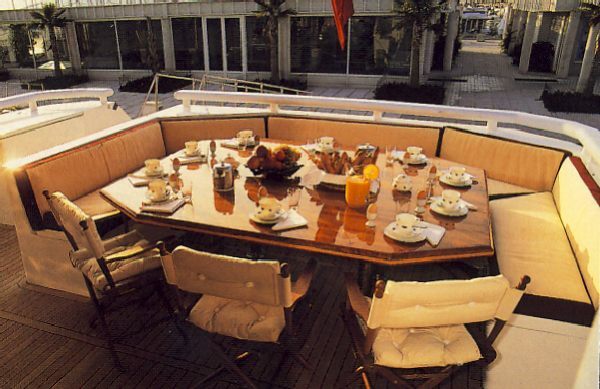 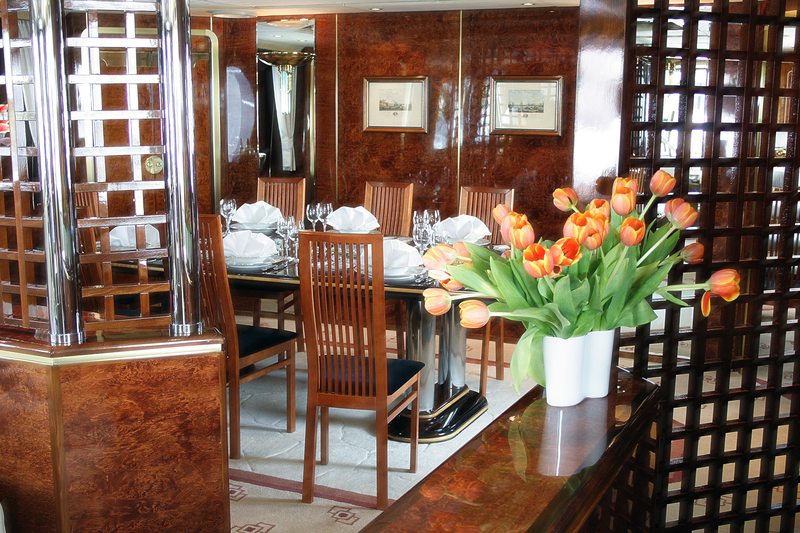 The main deck has a large open plan layout with dark wooden panelling and matching furnishings in neutral tones. 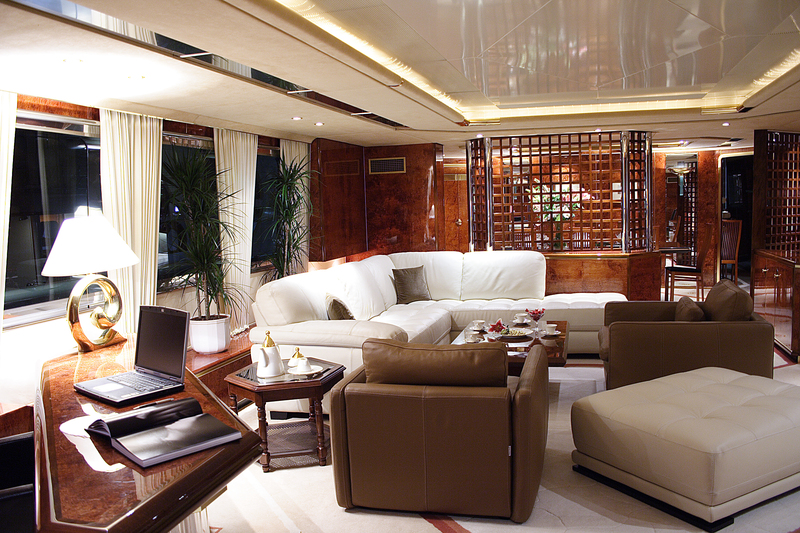 The central L-shaped sofa, armchairs and coffee table allow plenty of room for all guests to gather while leaving space towards the aft for a desk. 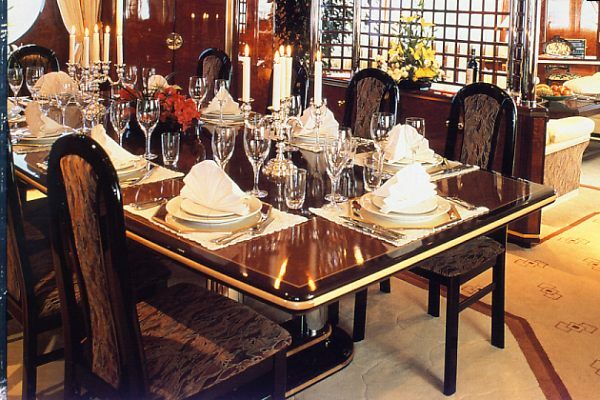 A partition divides the main salon from the forward formal dining area, where up to eight guests can dine in opulence at the high gloss table. 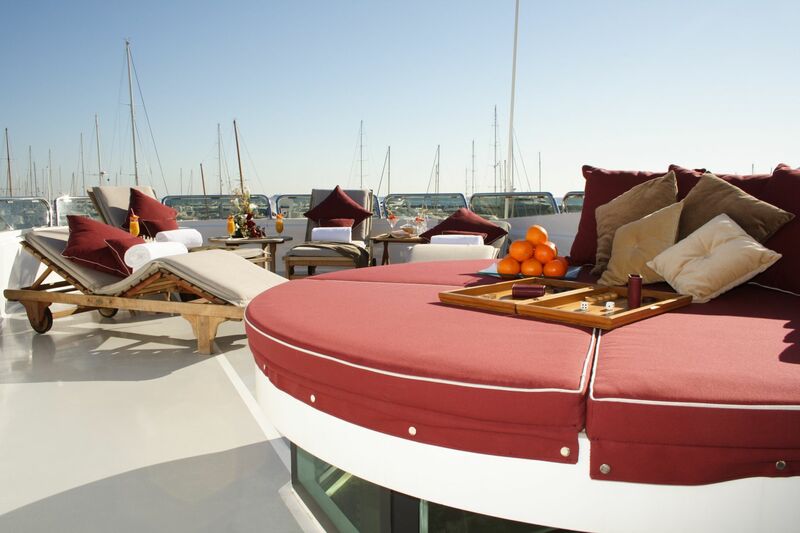 The bridge deck skylounge uses warm wooden panelling against fuchsia and white furnishings for a vibrant and invigorating place to socialise at any time of the day. 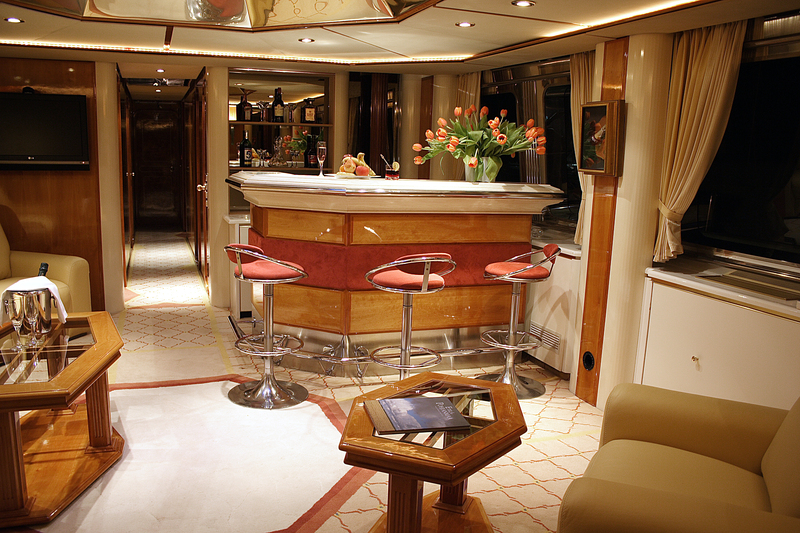 As well as a comfortable sofa and armchairs, there is a wet bar with an excellent selection of drinks for celebrating any occasion. 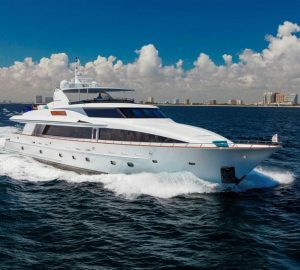 Using two CAT 3512 DITA engines, superyacht NORTHERN CROSS is capable of a cruising speed of 18 knots and a top speed of 24 knots. 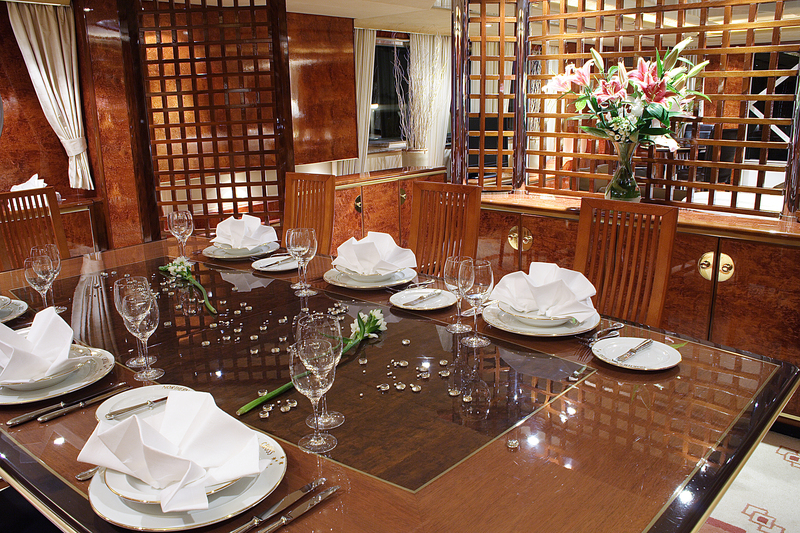 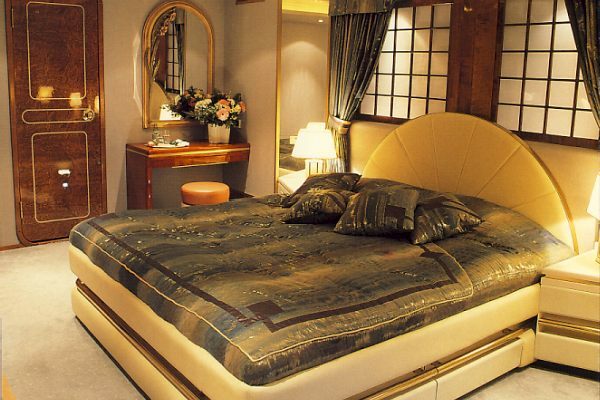 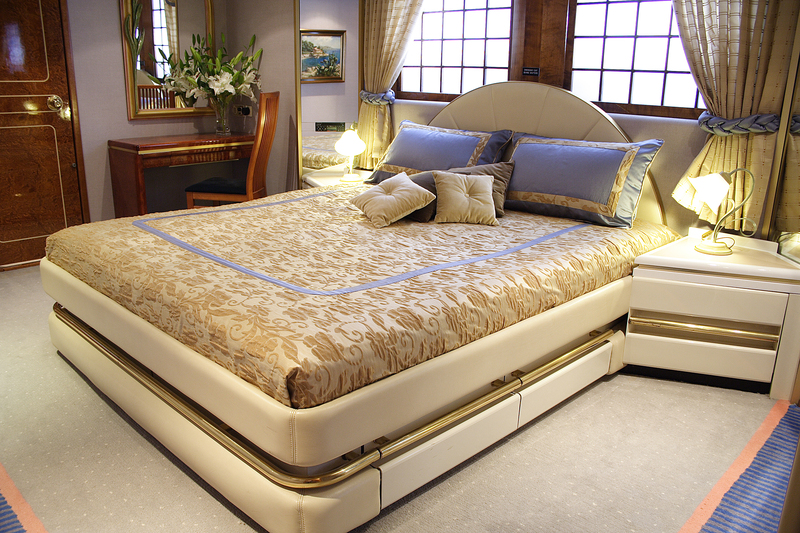 The accommodation is designed to sleep up to 10 guests over 5 cabins: 1 Master suite, 2 double cabins and 2 single cabins. 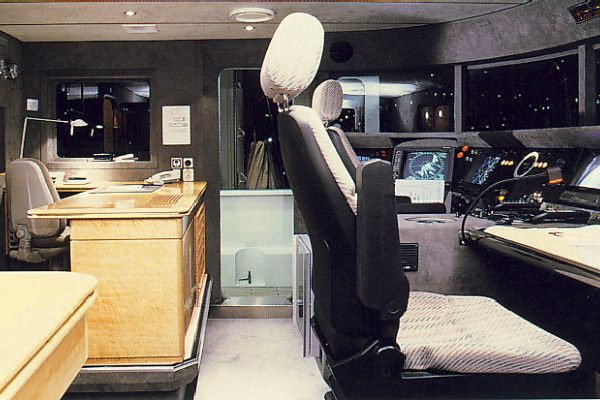 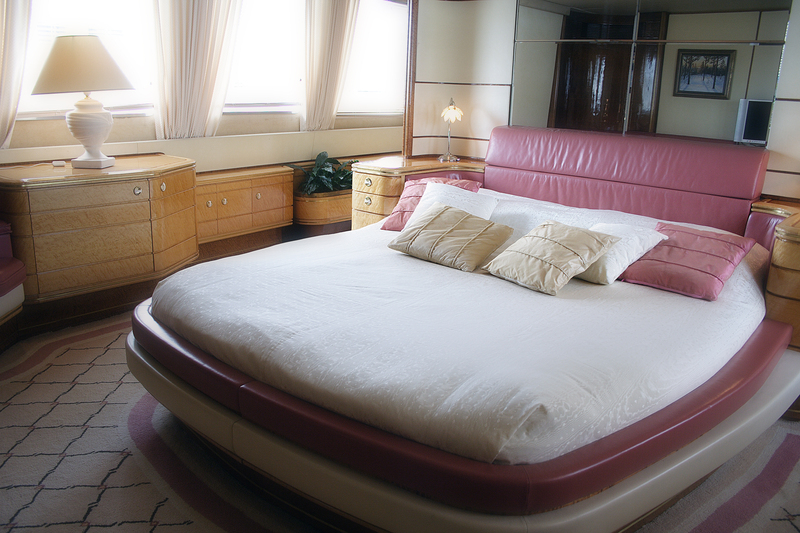 The crew cabins accommodate up to 8 people. 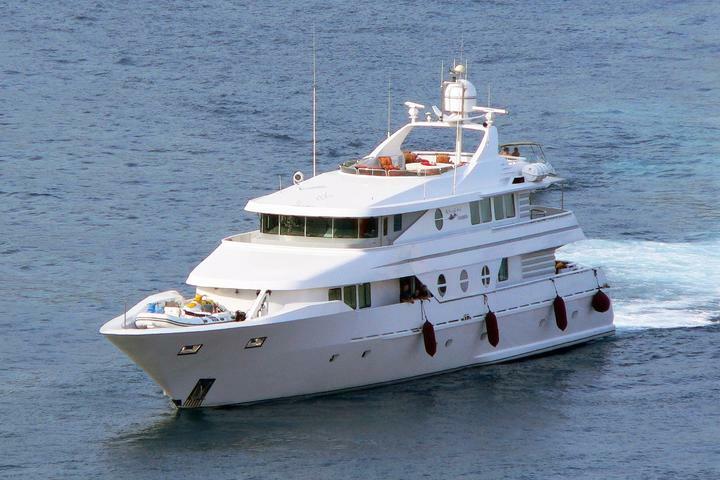 Please contact us for a full list of amenities and water toys.